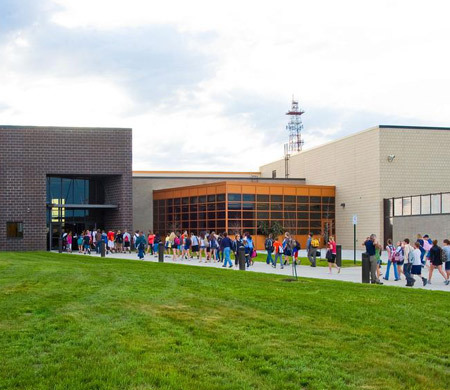 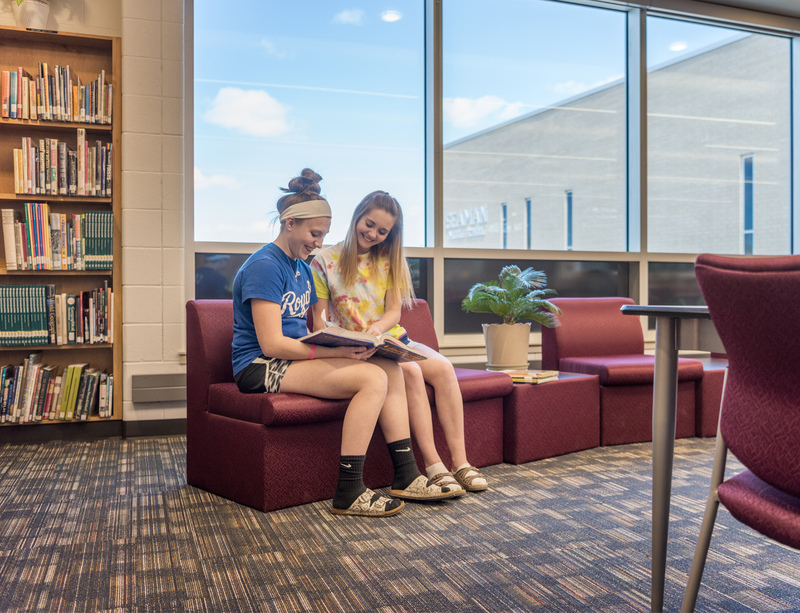 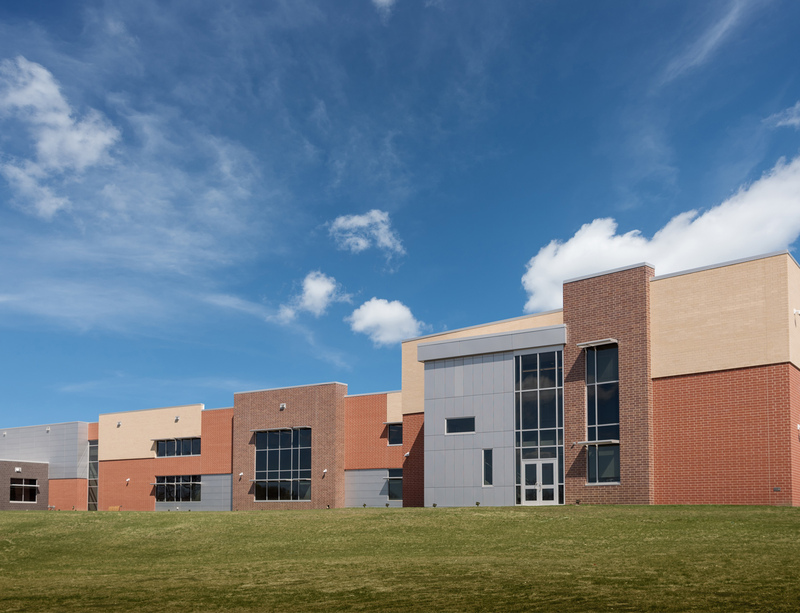 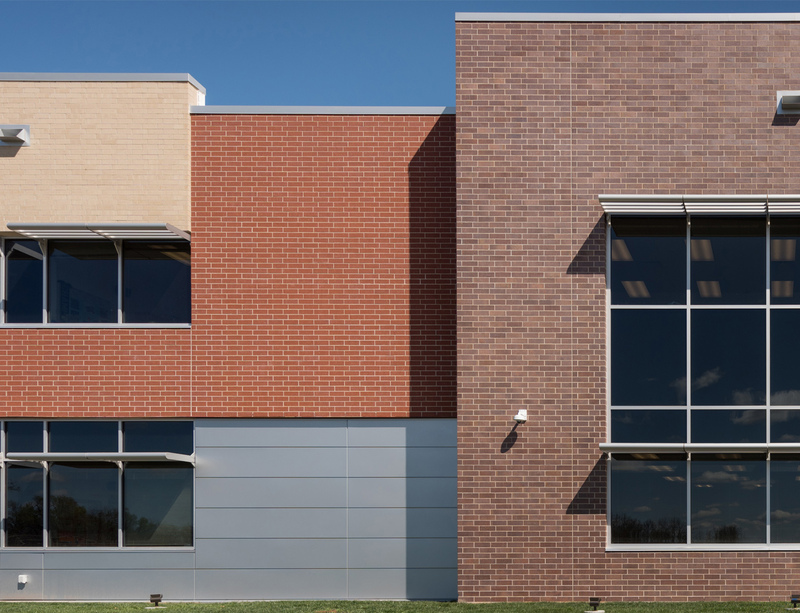 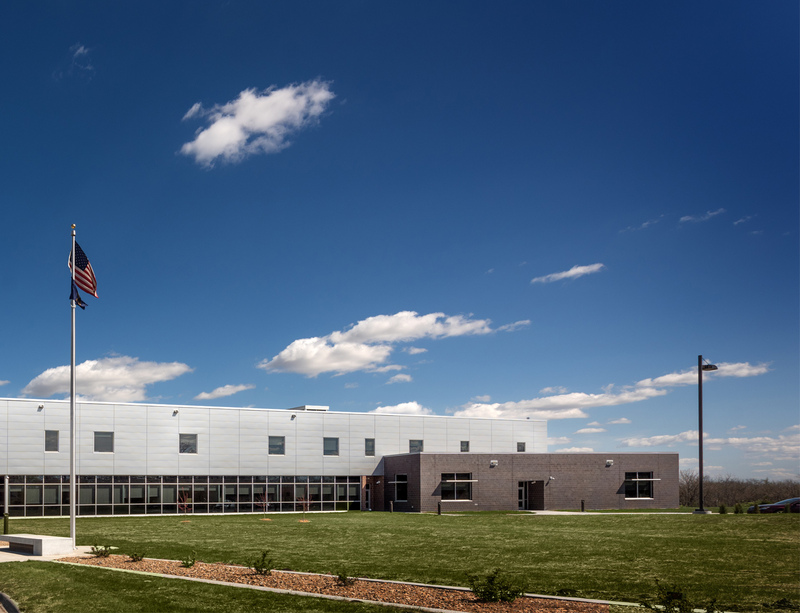 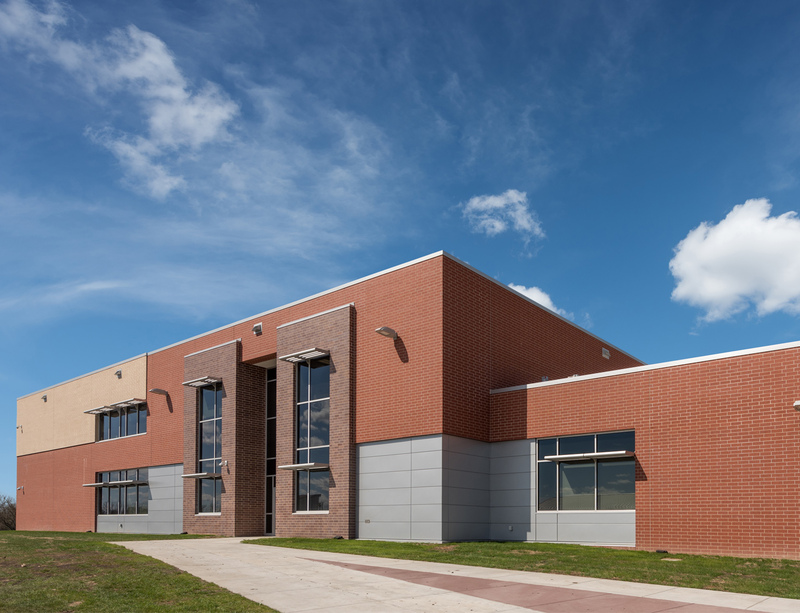 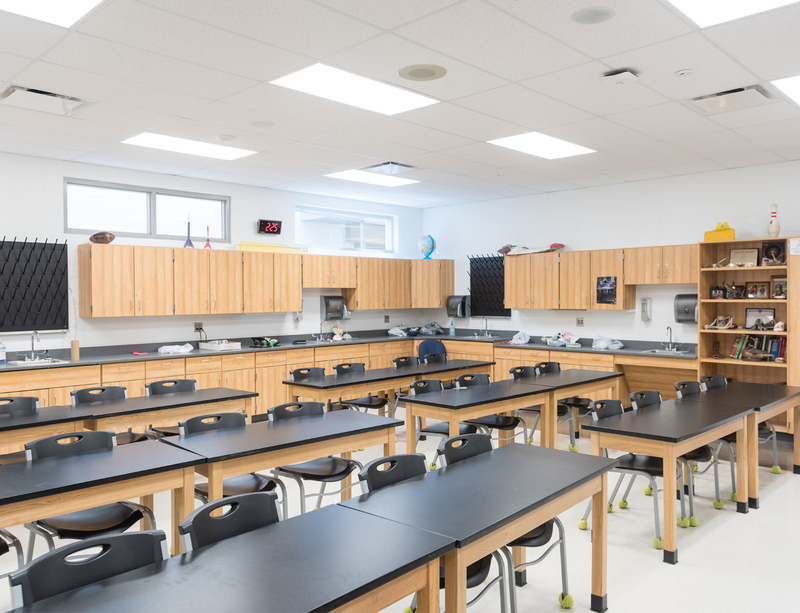 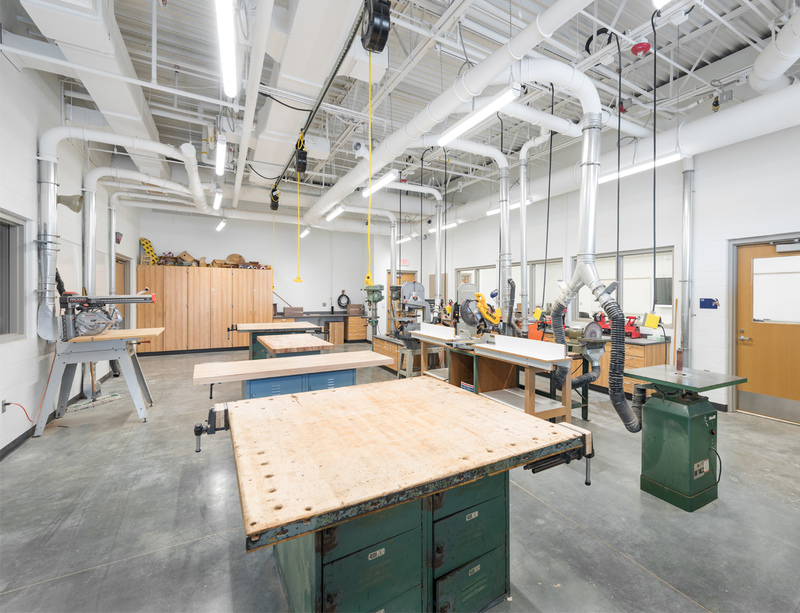 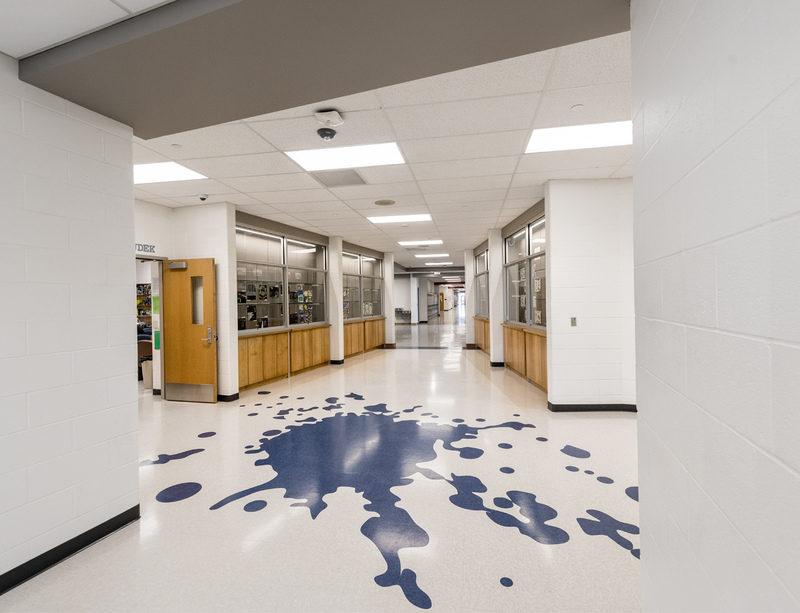 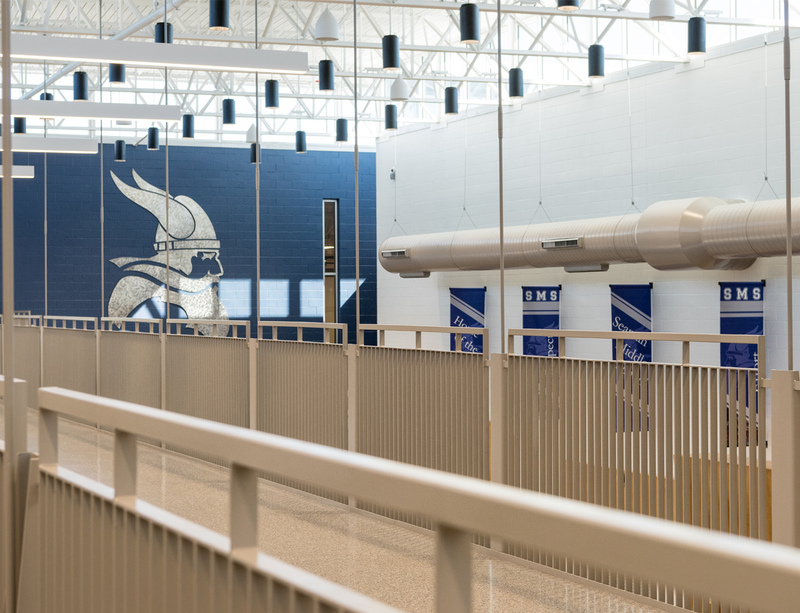 The new building includes seventh and eighth grades comprised of three ”teams”, and is designed to allow for collaboration within these teams. 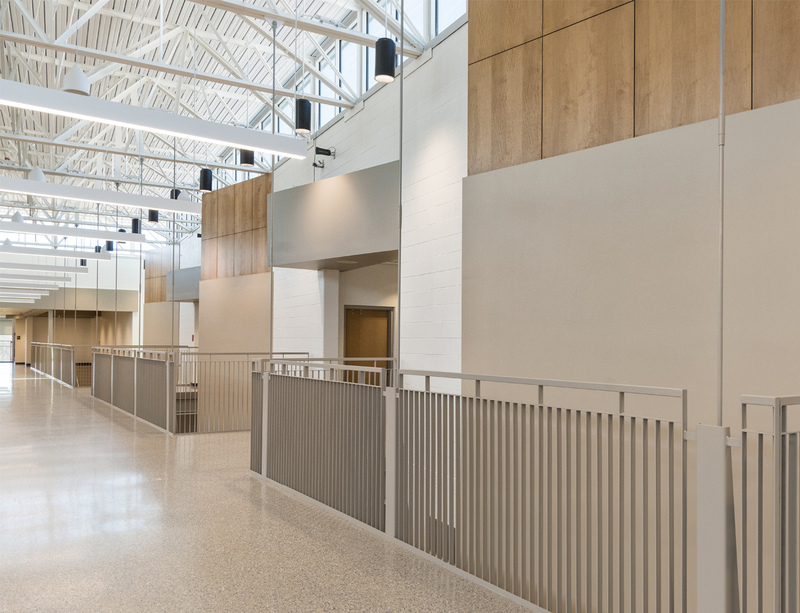 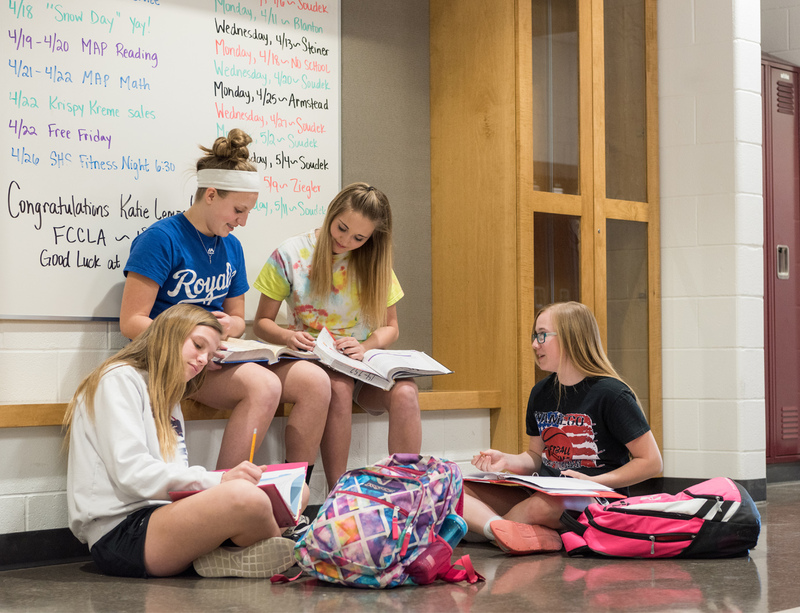 Each grade is on a separate floor, with the seventh grade on the first floor and the eighth grade on the second floor. 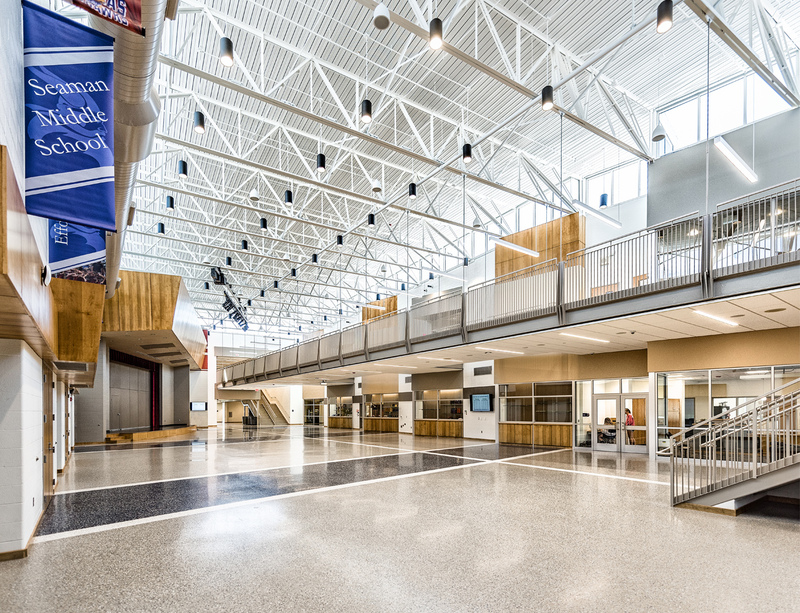 Areas on the periphery of the building include reading and gifted classrooms, computer classrooms, a library, art rooms, shop space, band and orchestra/choir rooms. 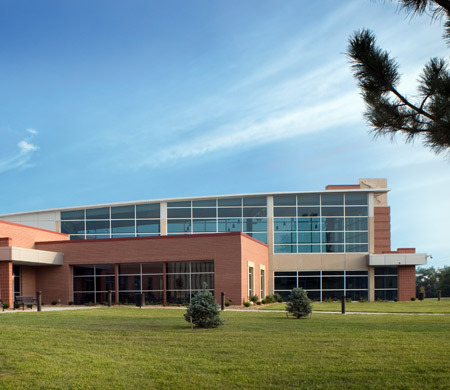 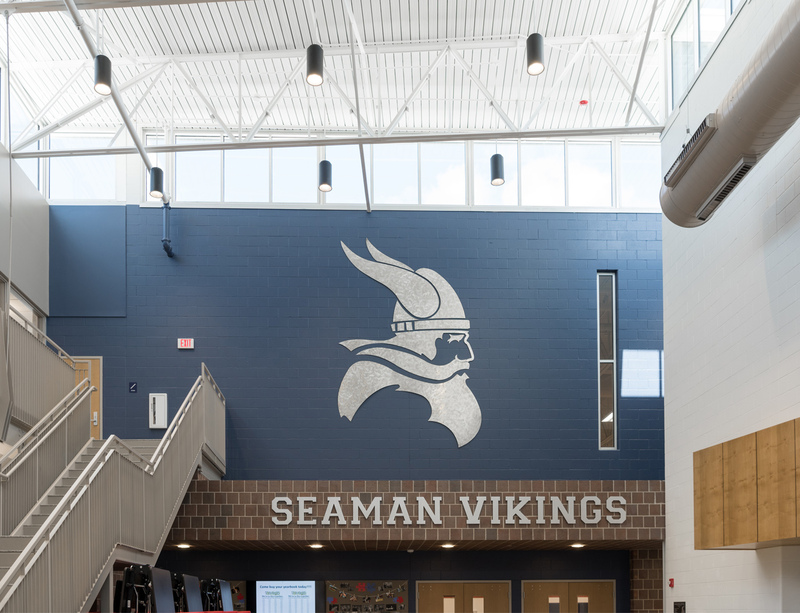 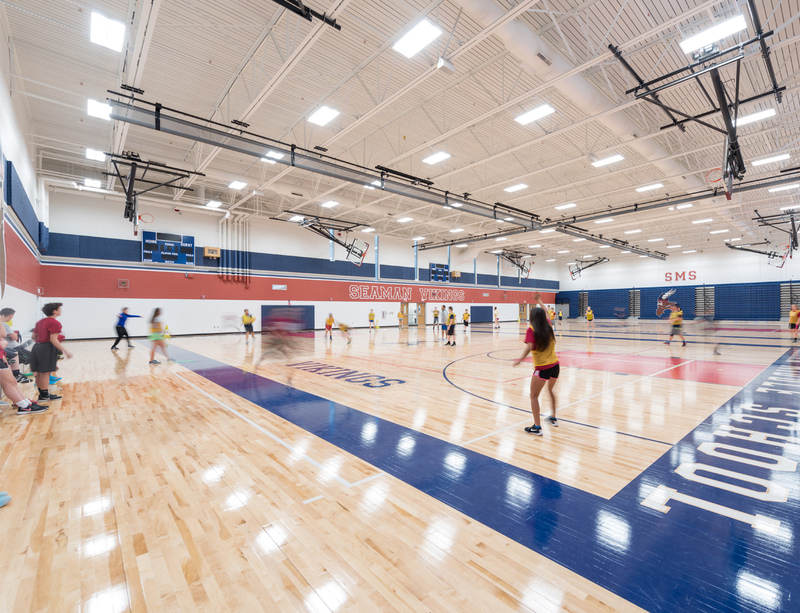 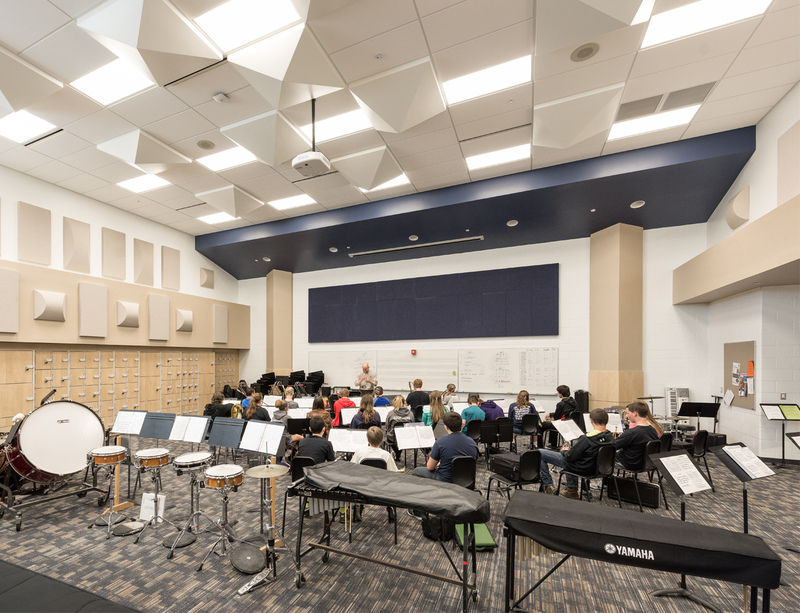 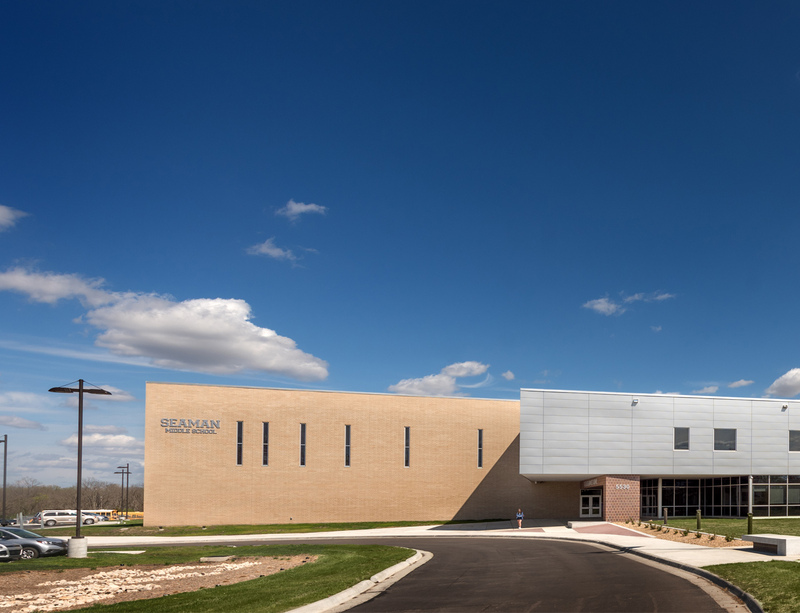 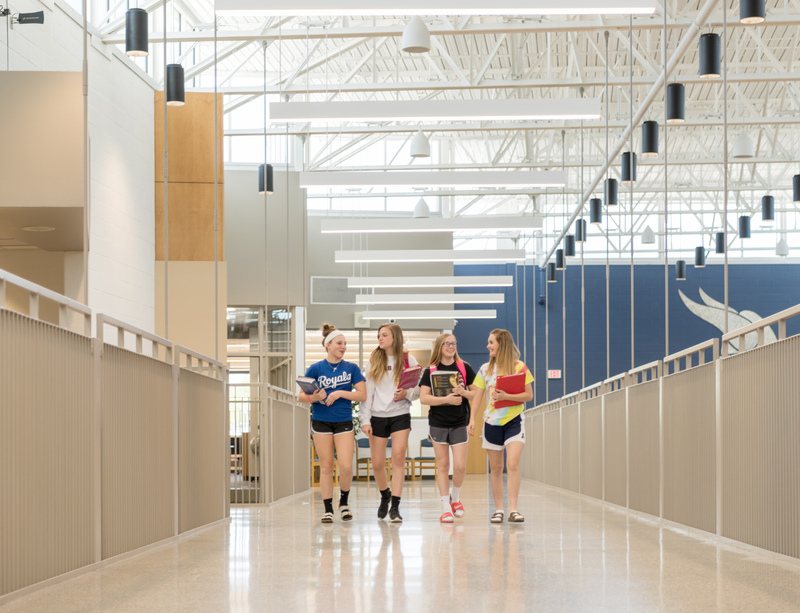 A competition gymnasium with adjacent locker rooms, weight/fitness and multi-purpose rooms as well as an administration suite are focused about the centralized Cafetorium space. 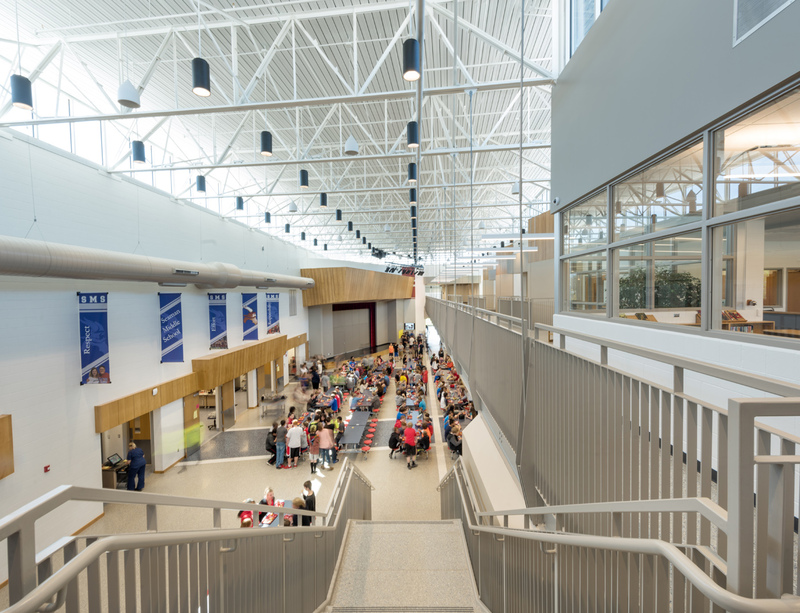 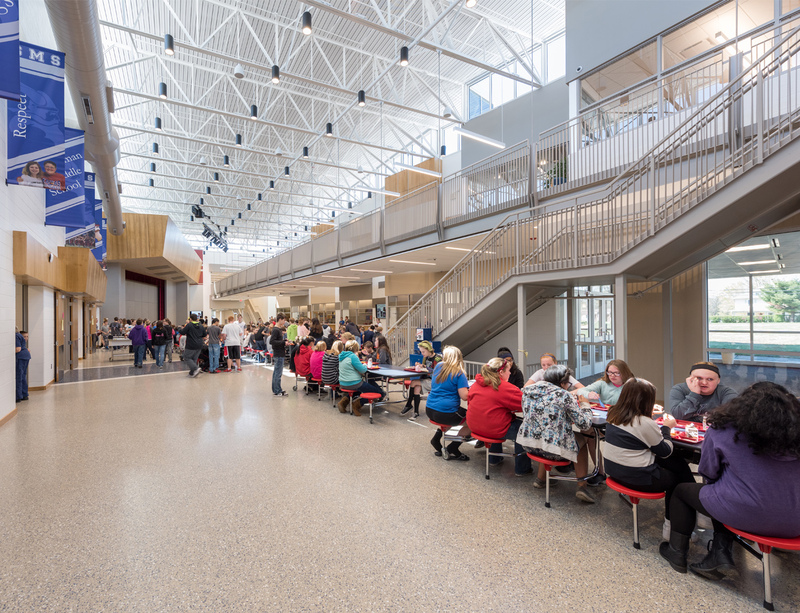 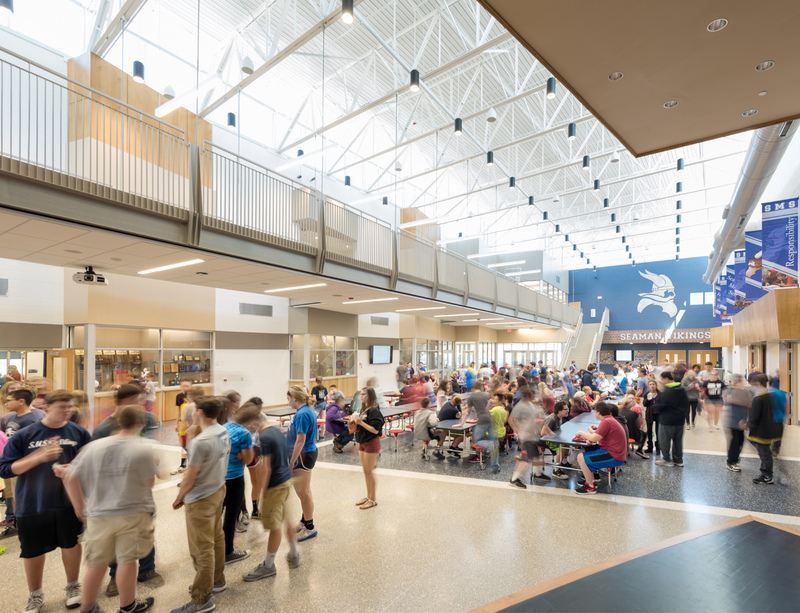 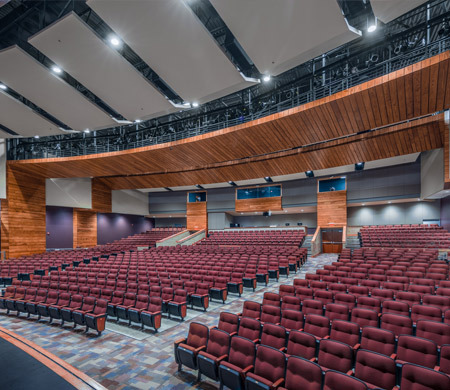 The Cafetorium area is designed as a flexible space, which can serve as a lunch area, a seating area for the adjacent stage or a lobby space for the adjacent gymnasium. 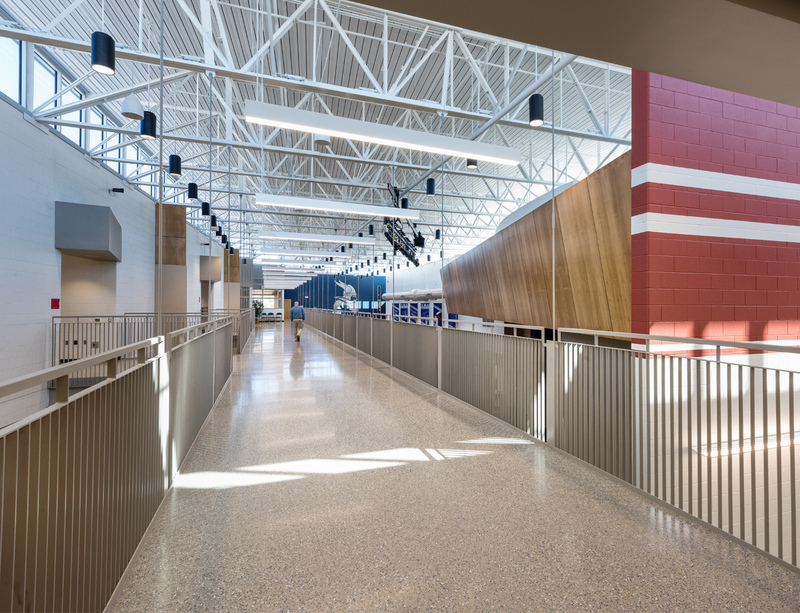 The Cafetorium also features a second level walkway along the main entry axis to the education portion of the building, which provides access to the reading, computer and library functions on the second level. 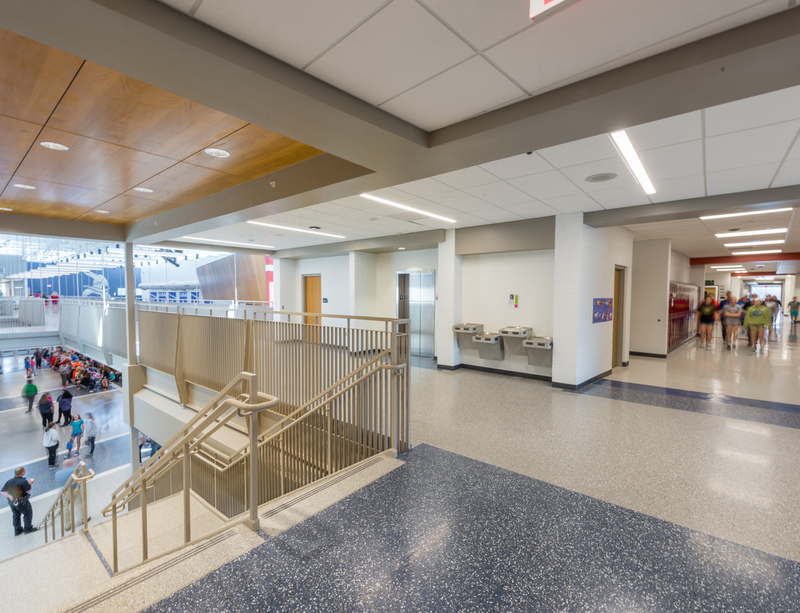 The main entry experience from the drop off drive is under the library, which provides a covered, secure entry through the vestibule and then the administration lobby.